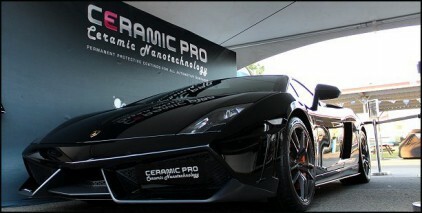 Comments Off on Why choose Ceramic Pro? 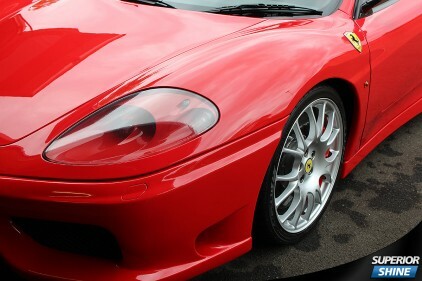 Since 2010 we have worked closely with Ceramic Pro after having used other Paint Protection products on the market, we truly find Ceramic Pro to be a leader in Automotive Paint Protection, with coatings suited to Paint, Wheels, Glass and Interior Leather and Fabric. 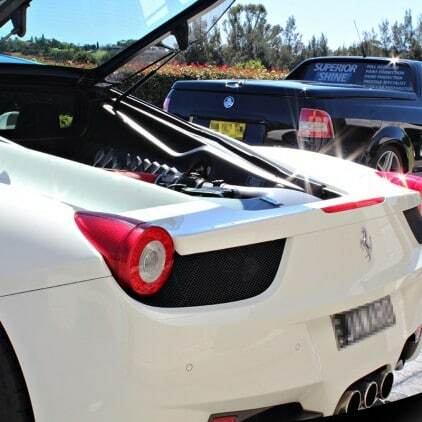 Ceramic Pro have a long running reputation across many industries world wide, not just specialising in Automotive – making them a true leader in surface protection. 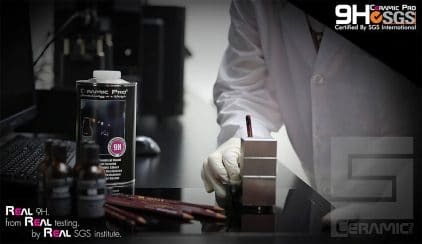 Their advanced research and development centre allows them to progressively find new protection technology for many surfaces, specialising in Automotive, Marine, Aviation and Industrial Industries. 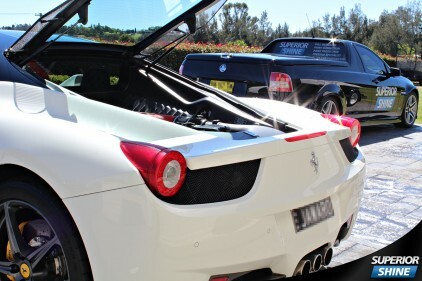 Unlike many Paint Protection and Ceramic Coatings on the market such as those sold at car dealerships that are relabelled and not actually manufactured by the brand they are sold as. 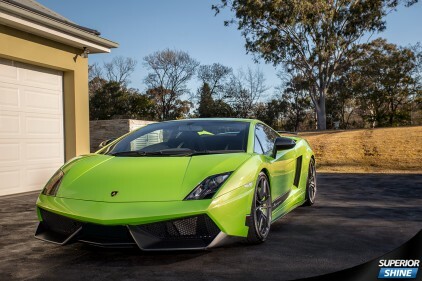 Here at Superior Shine we enjoy working on all types of cars, but when something special comes along like this Lamborghini Superleggera we feel very grateful that our customers know that we have the expertise to work on such high end automobiles! 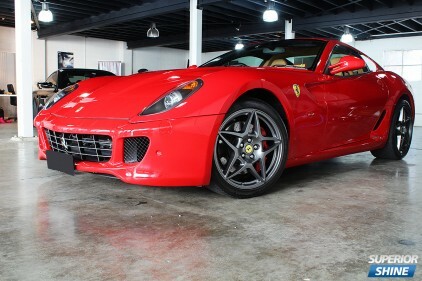 Only 16 Superleggeras came to Australia, 2 in this particular colour and this one even has the big ceramic brake upgrade! 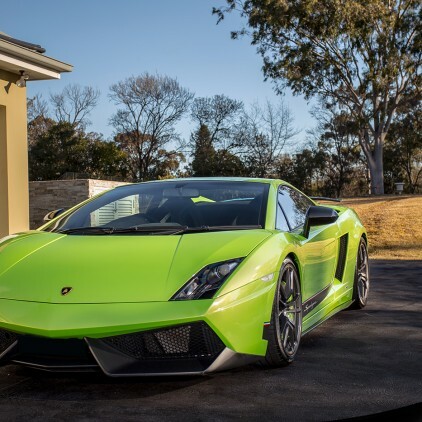 With only 11,000km on the clock the car was already in pristine condition this Superleggera is a fine example of Automobili Lamborghini, however no car is complete without our Ceramic Pro Paint Protection. 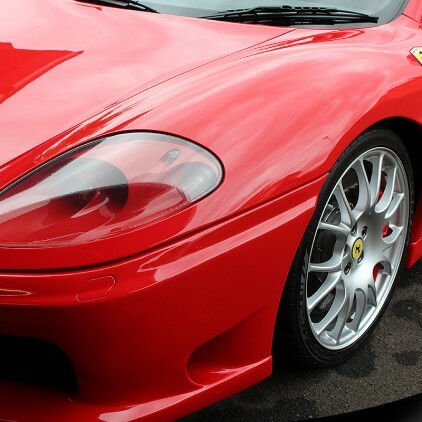 Utilising the latest equipment and products and having a strong knowledge of all paint finishes we have the expertise to work on some of the world’s most exotic supercars. When buying a new car the car dealership will try to sell you their Paint Protection, which will no doubt be overpriced and promise to protect your car from what sounds like the impossible, from our first hand experience of seeing hundreds of customers cars every year we have seen nearly every type of paint protection system out there and know exactly which one’s don’t perform all that well or live up to their hype! Recently we were called down to Melbourne to work on this brand new Maserati Granturismo MC Shift to give it a Stage One Machine Polish to remove minor swirl marks and to enhance the paint work, the paint correction was performed over 6 hours, once this was complete the paint work was thoroughly prepared with a alcohol based cleaner to remove any residue and then an application of Ceramic Pro Permanent Paint Protection was applied. 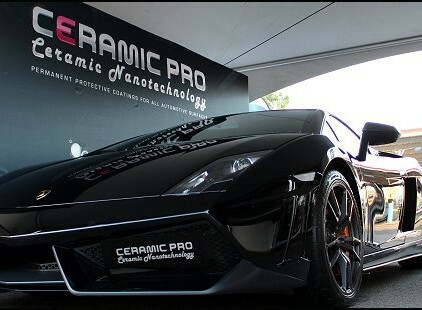 Ceramic Pro Paint Protection is a high gloss permanent nano-ceramic coating that features Super Hydrophobic Effect, UV & Thermal Resistance, Anti-Graffiti, Chemical Resistance, Anti-Scratch, Oxidation and Corrosion Resistance to protect your paint work from Bird Droppings, Tree Sap, Pollution, Industrial Fallout, Fading / Oxidization, Ultraviolet Rays & Corrosion. 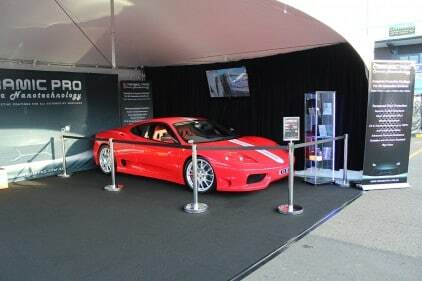 Ceramic Pro are proud “Official Partners” of ecurie25 the World’s Largest Supercar Club – Trusted to protect Australia’s most Exotic Supercars! 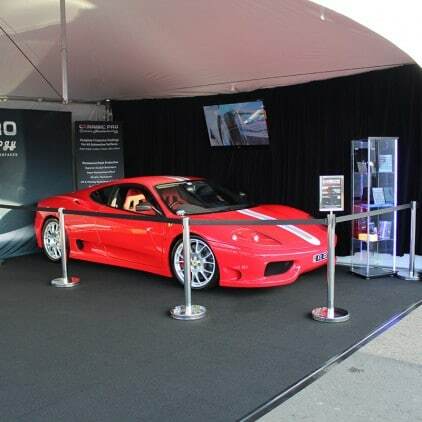 Superior Shine had the pleasure of working on this stunning brand new $660,000 Lamborghini Performante which was put on display for Ceramic Pro at the 2013 Top Gear Festival event at the Sydney Motorsport Park. 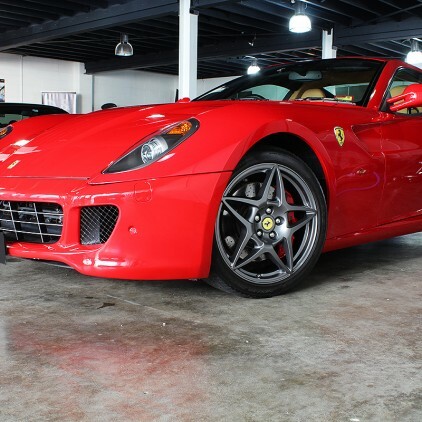 Over 22 hours was spent meticulously Detailing and performing a multi-stage Paint Correction on this stunning exotic supercar before it was coated with Ceramic Pro Paint Protection. The solid black paint work on this Performante was extremely soft, whilst the paint work is completely flat which gives off a mirror image on the solid black it can be easily ruined though with marring and scratches which were easily induced due to the soft paint. 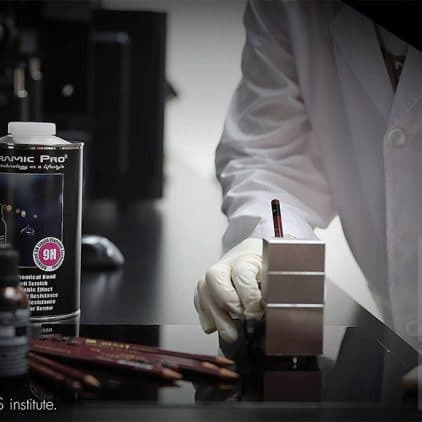 Now that it is protected with Ceramic Pro it now features a hard protective coating that is rated at “Above 9H” hardness which will help reduce marring and light scratching, and protect it from damaging contaminants whilst adding even further gloss to the paint work. 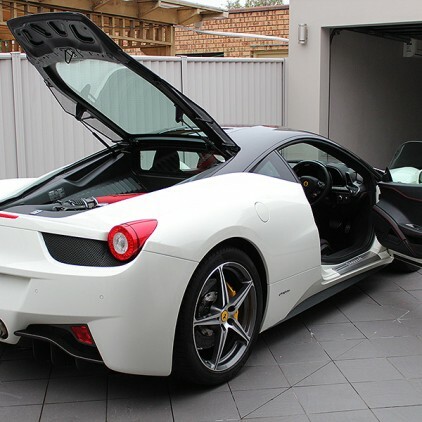 This Ferrari 458 is owned by a regular customer of ours who had just bought it second hand, it received an extensive detail ensuring all areas were meticulously detailed and a Stage One Paint Correction to enhance the paint work, it was then coated with Ceramic Pro 9H Permanent Paint Protection to protect the paint work from damaging contamination and minor scratches, the interior was also detailed and coated with Ceramic Pro Leather Protection.